There are many kinds of induction motors based on torque current and load requirements and they find use in various machinery. This article helps classify all induction motors. Also known as wound rotor, this rotor consists of a cylindrical core which is laminated and consists of a slot parallel to the rotor shaft. An insulated bar of conductive aluminum or copper is placed in every slot of the rotor. The rotor conductor is also placed in a short circuit at the rotor end. This rotor is named so because the end ring and the conductor resemble a squirrel's cage. It's very easy to maintain and offers high conduction and power transmission. The squirrel cage rotor is classified into Class A, B, C, D.
This classification is based on the torque requirement of the rotor. Class A Motor: - It is used when normal Starting torque and a high starting current is required. Examples of Class A motor include: - Fans, Blowers, Machine tools etc. Class B Motor: - It is used when normal starting torque and low starting current are required with a low operational slip. Class C Motor: - It is used when a high starting torque and low starting current are required. It offers rotation at a constant speed and load. Examples of Class C motor include: - Compressor, Crushers, Conveyors etc. Class D Motor: - This motor offers the highest Starting torque of all the above mentioned motors. It also has a low starting current and high operating slip. Examples of Class D motor include: - Bulldozers, Die stamping etc. This motor consists of a slotted armature. Unlike Squirrel Cage Motor, its conductor is insulated and is arranged in slots of 3 phases with a double layered winding. The rotor is connected through its open end to the brushes of the slip ring which is placed in the shaft. 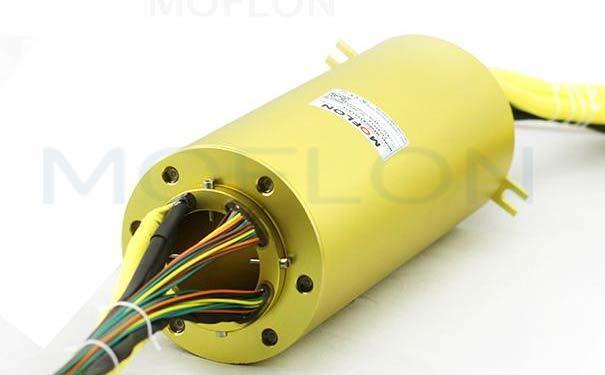 The other end of the slip ring is linked to the variable resistor which helps in speed control. The Slip ring induction motor possesses a high Starting Torque and low starting current. It is used mainly for: - Conveyors, Cranes, Compressors, Elevators, and Hoist etc. A slip ring induction motor is capable of maintaining the highest torque at any slip. Even a high braking torque can be maintained easily. It is mainly used for high starting torque which makes use of an external resistance. They can help in speed control for lifts, railway traction, elevators, etc. High overloading can be done. Smooth acceleration is easily achievable even under heavy loads. Overheating is avoided during starting. It's more costly to maintain as compared to squirrel cage motor.